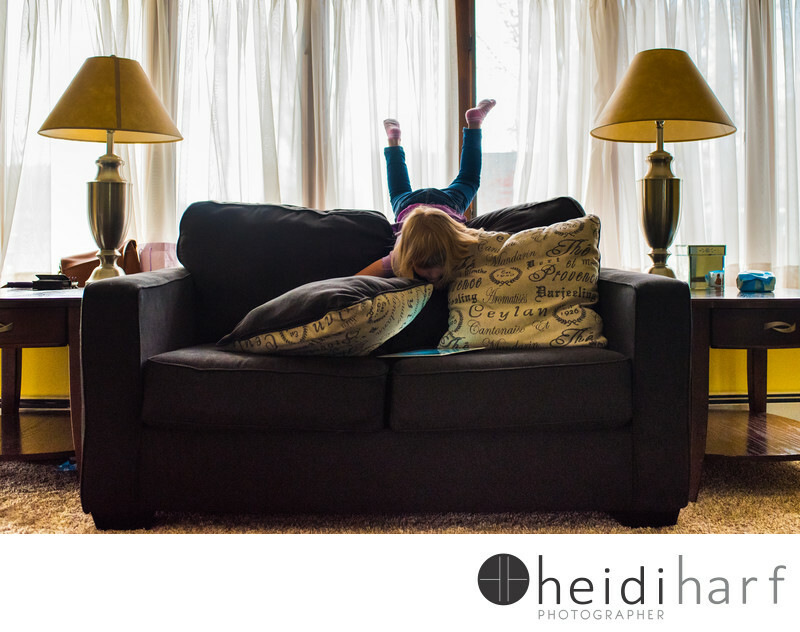 little girl climbs over the couch. She plays with her ipad upside down. Keywords: documentary family session (9), hamptons beach photographer (81), hamptons beach photography (75), hamptons family photographer (111), new york family photographer (102), new york portrait photography (45).